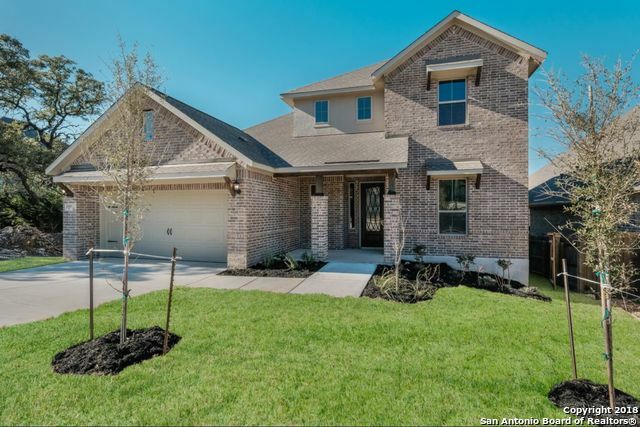 All CORONADO - BEXAR COUNTY homes currently listed for sale in San Antonio as of 04/25/2019 are shown below. You can change the search criteria at any time by pressing the 'Change Search' button below. "Fantastic 5 bedroom home in Coronado waiting for its next owners. 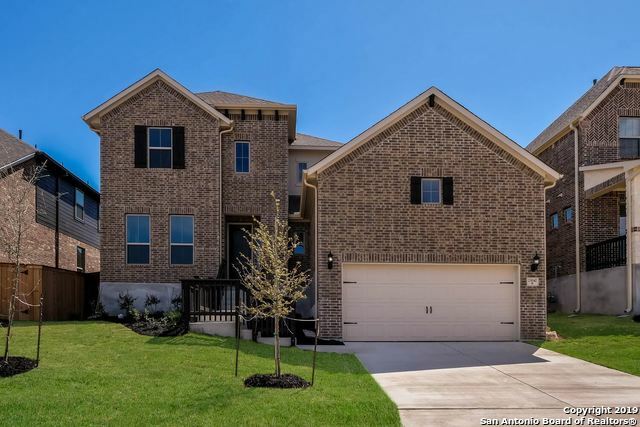 Luxurious wood floors greet you as you enter the spacious open floorplan with dining room, flex space/office, island kitchen with stainless steel appliances (including refrigerator), bright breakfast area, and family room with corner fireplace and lots of windows. Large master suite has spa-like bath with separate tub and shower. Gameroom upstairs. Custom closets, washer and dryer, new window treatments remain. Covered patio and g"
"Beautiful and stunning 4 bedroom 3 1/2 bath will surely delight. Past the entry, you enter the spacious living room that features 2 story high ceilings. Extra storage in garage. Gourmet kitchen with built-in stainless steel appliances, including four-burner gas cook top and double ovens. J-Kraft custom 42-inch cabinets with under cabinet lighting, granite counter tops and custom ceramic tile back splash in kitchen and master bath. Smart home package included. Upstairs features a game and media r"
"Beautiful 4 bedroom, 3 and a half bath home. Ten-foot ceilings/eight-foot doors, first level. Staircase accentuated by wrought iron and hardwood railing. Stone fireplace, mantle, and surround. Extra storage space in garage. Gourmet kitchen with built-in stainless steel appliances, including four-burner gas cook top and double ovens. J-Kraft custom 42-inch cabinets with under cabinet lighting, granite counter tops, and custom ceramic tile back splash in kitchen and master bath. 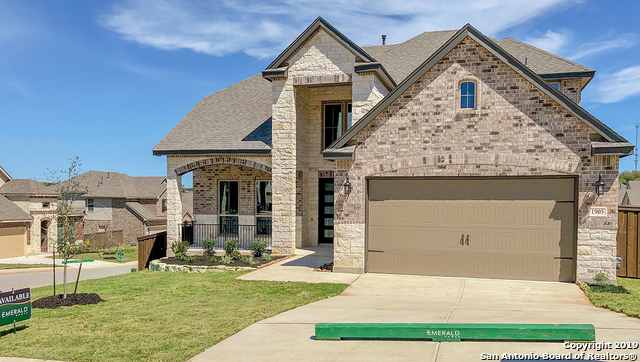 Smart Home Packag"
"You will be right at home in this one-of-a-kind floorplan, in the very sought after Coronado subdivision. Here in Stone Oak, boasting the NEISD school districts and ample shopping and entertainment just minutes down the street! This beautiful Coventry home features four bedrooms with three baths, and it has a very unique, second bedroom downstairs that can be considered a second master. This house also includes gorgeous hardwoods throughout with granite countertops and too many more features to "
"Very unique and open floor plan! Step inside this lovely home that boasts many upgrades and special features! You will find the first floor very well appointed, with a very nice sized master bedroom with bowed out master wall and gorgeous, elevated views off the back of the home. There is a secondary master bedroom layout on the first floor as well and an extra powder bath for the convenience of any guests.This home also has a very attractive study on the first floor as you enter the home. The s"
"Beautiful and stunning 4 bedroom 3 1/2 bath will surely delight. Past the entry, you enter the spacious living room that features 2 story high ceilings. Upstairs features a game room and Media for hours of entertainment. Wrought Iron railing enhances the staircase and overlooks. You'll find yourself on those summer nights enjoying the covered rear patio." "You will be very impressed by the attention to detail as you pull up to this gorgeous home featuring the highest in custom elevations that we offer in the highly sought after neighborhood of Coronado! 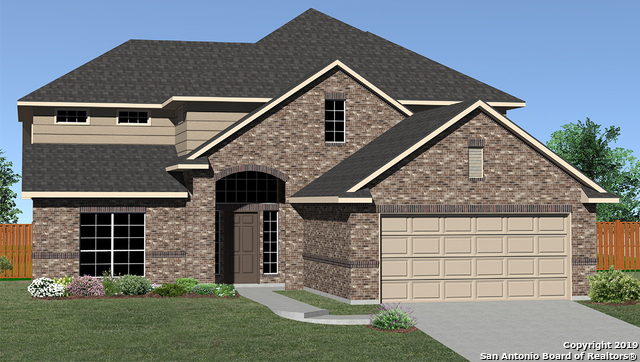 This home boasts four bedrooms, a study, a flex room and a spacious dining room as well. The kitchen offers one of the largest islands of any plan and it flows nicely into the family room for family and friends to gather. The home is well appointed, with upgraded master bath suite, granites, hard w"
"Highland cul-de-sac 1 story feat. 4 BRs & 2.5 Baths + Study! 4th BR used as media/flex room. 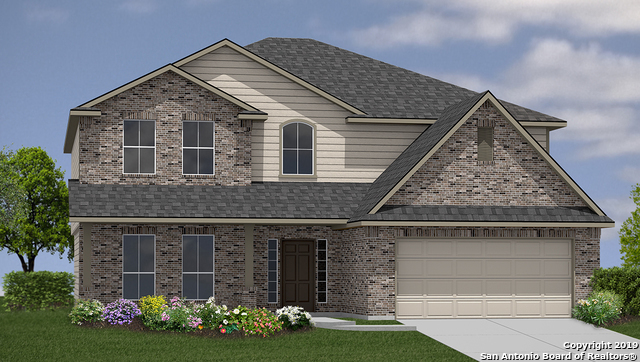 2 eating areas, open floorplan, & living area w/ fireplace & wood flooring throughout. Gourmet island kitchen w/ white cabinets & granite countertops, farmhouse sink, subway tile backsplash, built in appliances & gas cooking. Large master w/ vaulted ceilings. Mbath w/ French door entry, walk in closet, tile floor, his/her sinks & sep. shower/tub. Covered patio/pergola. Mins from TPC Parkway & easy hwy ac"